Supporting and nurturing young people through theatre is, and always will be, at the heart of the Theatre Royal Haymarket Masterclass Trust. As the in-house education charity of the Theatre Royal Haymarket, for the past 20 years Masterclass have been dedicated to opening up this beautiful and historic building as a resource for young people so they can gain hands-on experiences through theatre. 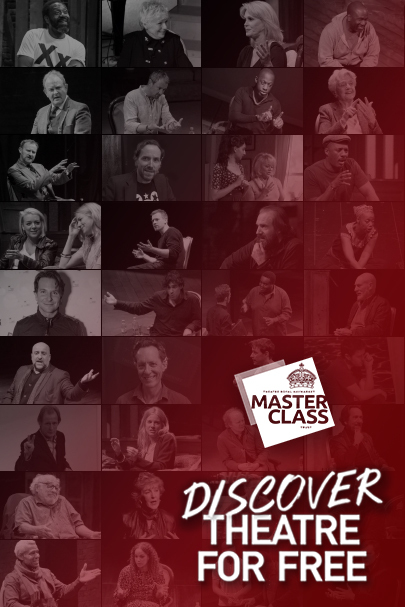 Masterclass is a mix of inspiring and empowering talks with leading industry figures, onstage workshops, careers advice sessions, creative opportunities, paid apprenticeships for young people aged 16 – 30 and they offer £5 tickets to the best West End and Fringe theatre.